Want to get away from the strip for a while on your Vegas Vacation? We have tons of day trips and excursions from Las Vegas to choose from. 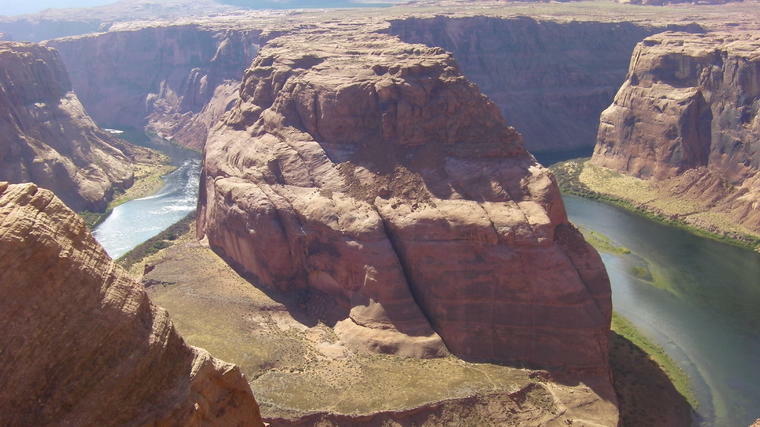 From Hoover Dam to the Grand Canyon and so many more, there are dozens of options to fill your day. Here are our top 5 day trips from Las Vegas. 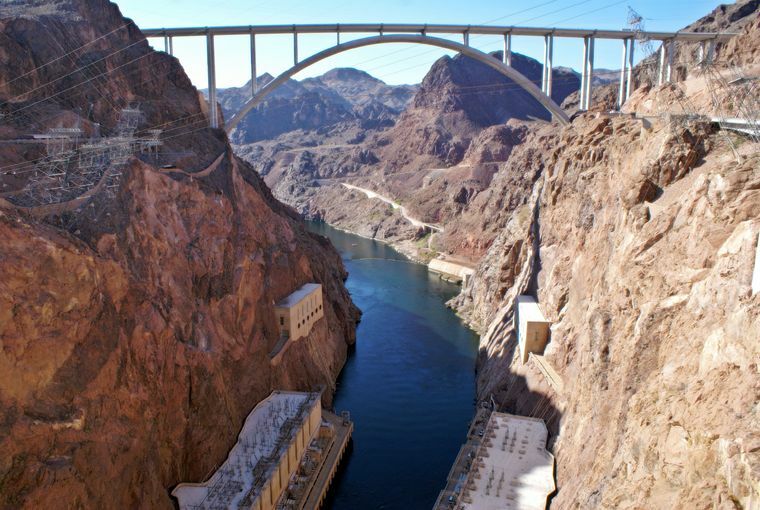 On this guided tour of the Hoover Dam, you’ll be entertained as well as informed on just about everything there is to know about the dam. It starts with hotel pickup and an air conditioned drive, while discussing Hoover Dam facts. Then you’ll journey inside the Black Canyon on the ‘Power Plant’ tour and learn all about the power the dam generates. Then, head over to the Visitor Center and learn all about the history of Hoover Dam. View a number of exhibits telling the story of how the dam was built, how it works and the benefits of the water and electricity the dam generates. Then ‘Walk on the Top’ in the next section of the tour, a 45-minute walking tour over the top of the dam. Very informative tour. Our guide, Trevor, was funny, personable, and very knowledgeable about the Hoover Dam! Would recommend this to anyone looking for an in-depth experience at the Dam. 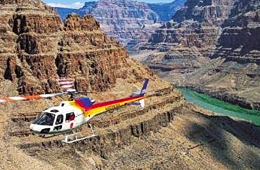 Your driver for this tour gives narration as you travel from Las Vegas to the Grand Canyon’s South Rim. There, you will make a stop at the National Geographic Visitor Center. At the Rim, you will visit two spectacular lookouts, Mather Point and Bright Angel Lodge. 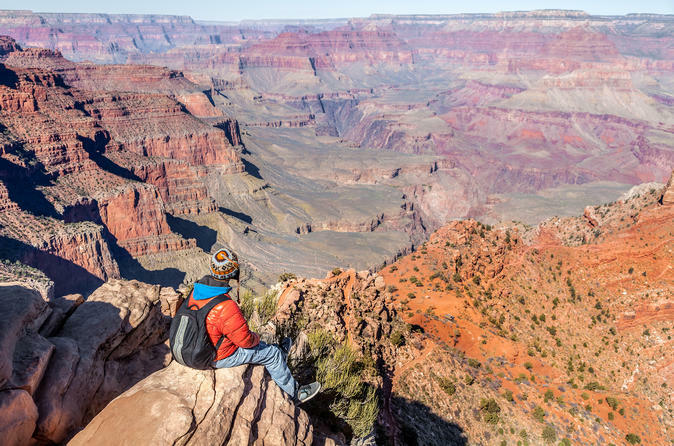 Hike along the trails, visit the historic El Tovar Lodge, shop for souvenirs or simply sit and gaze at the awe-inspiring beauty of the Grand Canyon. Optional upgrades to this day trip include IMAX, Jeep Tour, Helicopter Tour, and a special bonus offer: All paying passengers will receive a voucher allowing admission to Marvel Avengers S.T.A.T.I.O.N at the Treasure Island Hotel and Casino for up to four passengers. This was an amazing trip. Long day but with a comfortable ride in the coach bus, we had plenty of room to stretch out and relax all along the way. Everything was exactly as described. Our bus driver was AMAZING. He gave us outstanding history on the area, the grand canyon and hoover dam. He was very passionate about his job, and it showed. I traveled with my 2 teenagers 14 and 18 and we all loved this tour. We spent 8 days vacationing from las Vegas to San Francisco and this was our favorite day next to Yosemite. I would highly recommend. Book with us and save 56% compared to what you’ll pay on another travel site! This tour is a memory maker. 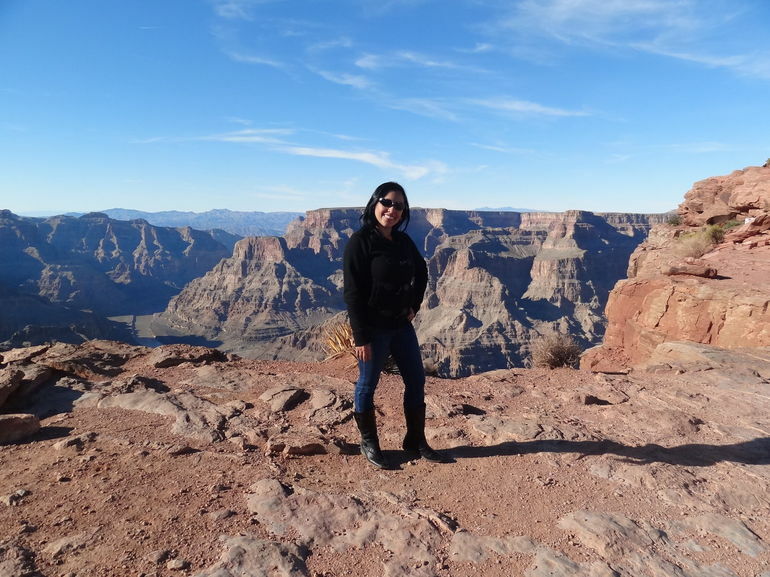 Travel in an air conditioned luxury motor coach from Las Vegas to the West Rim of the Grand Canyon. 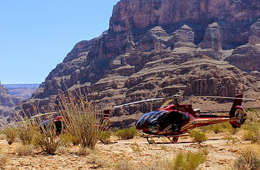 Hop on a million dollar helicopter and fly below the rim to land in the Grand Canyon. 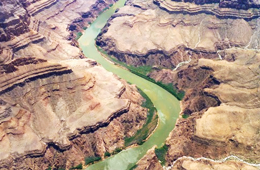 From there take a river cruise to the Hualapai Ranch for a cowboy cookout. After that, you will enjoy a drive along the scenic West Rim. Choose the optional Skywalk and view the canyon floor through glass floors fro 360 degree views. I am so happy I chose this Tour company. Everything was great. Our bus driver was amazing. We did the helicopter and boat ride. I truly was in awe, the Grand Canyon was breath taking. Please do this you won’t regret it. Way to celebrate my 60th bday. This 6 hour tour will take you through one of the most beautiful sights in the Mojave Desert. As you make the 13-mile loop at a leisurely pace through the Red Rock Canyon National Conservation Area, you can get pictures of such sights as the Calico Hills, the Indian Roasting Pits and petroglyphs found at Willow Springs. You will also see Spring Mountain State Park, which used to be a ranch belonging to Howard Hughes. Loved Loved this tour. Our tour guide was amazing and so helpful when we misunderstand where our pick up was. this tour is a must see. This is a newly added tour that the whole family will love. You have no doubt seen hundreds of pictures of Horseshoe Bend as it is one of the most photographed places in the world. Now you can see the real place for yourself and take your own pictures of it. This tour was amazing! I would highly recommend to anyone seeking a trip to Antelope Canyon and Horseshoe Bend, the pictures we took were unreal and breathtaking. Our driver Wade was awesome and very accommodating, my wife and I were the only ones on the tour and he made the long drive enjoyable! With as many day trips as we offer, it just wasn’t possible to list them all here. To see descriptions of all of our day trips and choose the one that most interests you, check them all out.